Dubai. 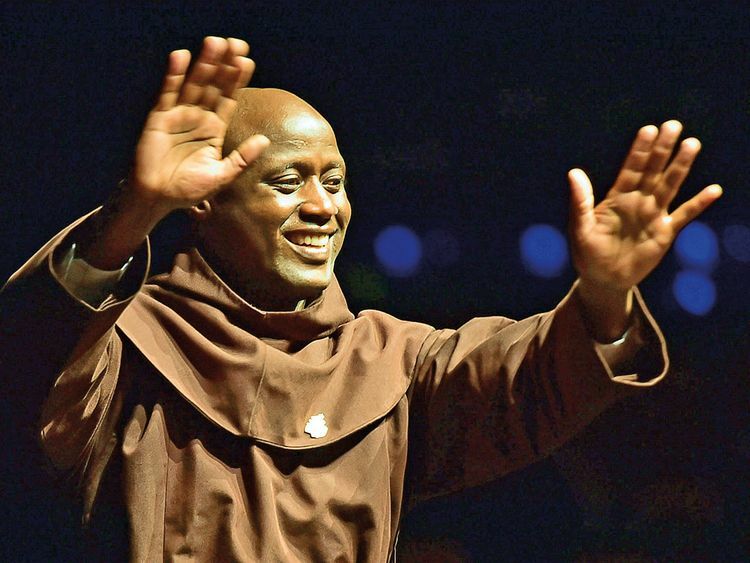 Global Teacher Prize winner Peter Tabichi remembers his days walking barefoot to a school with barely any facilities, a tradition that’s been carried on by various students at the school he now teaches at. On Sunday, after being awarded a $1 million prize at a glittering ceremony at Atlantis the Palm in Dubai, the Kenyan educator now wants to stop the practice. In an interview with Gulf News’s weekly magazine Friday soon after he won the prize — awarded under the patronage of His Highness Shaikh Mohammad Bin Rashid Al Maktoum, Vice-President and Prime Minister of the UAE and Ruler of Dubai — the math and physics teacher from Keriko Secondary School in Kenya spoke about the challenges Africa faced as a continent in the educational landscape, and how the award had spurred him to believe that change was now possible. From food insecurity to poverty, there’s a wide range of issues he’s determined to tackle. Tabichi sees the award as one that would motivate other teachers and raise the status of the teaching profession as a whole. And one that can bring a whole new confidence to kids in Africa, as it would motivate them to excel. “I meet kids who talk about suicide, kids who have seen domestic violence, kids who are ready to give up, kids who are living through drought or famine or hunger, and low self-esteem and a life of indiscipline because of all the stress they face. It’s those kids this award is really for. Not me,” he said. His dream now is modelled around Dubai, to take his small Kenyan school to new heights — Dubai heights. He said he wanted to make the Kenyan school “a model school like the ones in the UAE, a school everyone in Africa will remember as a small one that rose above so many challenges to empower the community”. “I aim to make my prize money work towards that dream,” he added. Read the full interview in Friday magazine this weekend. A maths and physics teacher from Kenya who gives away 80 per cent of his monthly income to the poor. 95 per cent of his pupils hail from poor families, almost a third are orphans or have only one parent, and many go without food at home. Despite this and a student-teacher ratio of 58:1, 60 per cent now qualify for national science competitions. Tabichi saw his village school come first nationally in the public schools category. They also qualified to participate at the INTEL International Science and Engineering Fair 2019 in Arizona, USA. His students have also won an award from The Royal Society of Chemistry after harnessing local plant life to generate electricity. ICT is used in 80 per cent of his lessons.